I have three close friends that are currently with child and I can't wait to spoil their little ones with gifts and love. 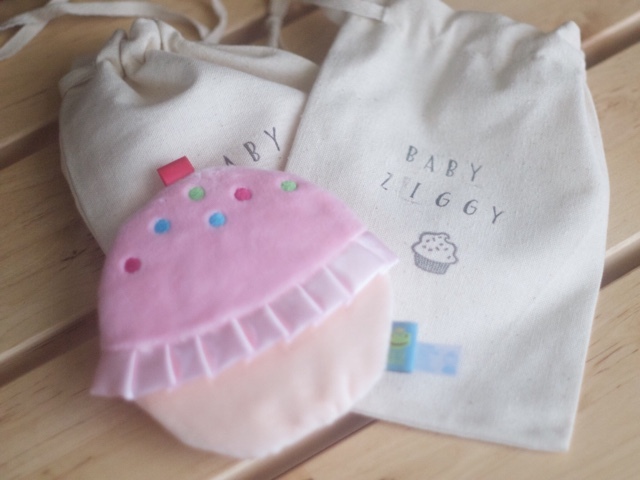 But until the babies decide to emerge from the womb, the plan is to spoil their mommies with gifts and love. 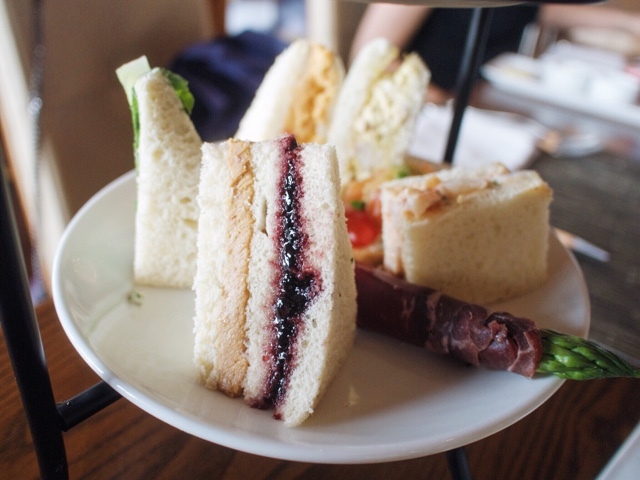 As a going away party/baby shower for my friend Sarah, we decided to celebrate with high tea at Up Restaurant. 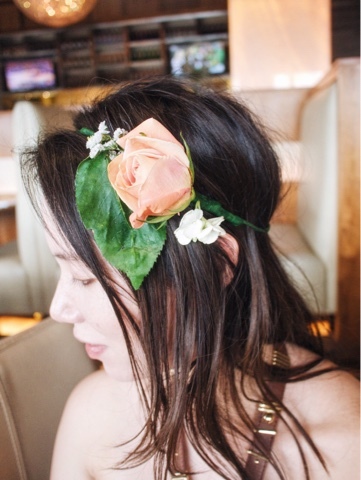 To be extra festive, I made us girly flower crowns after being inspired by this lush, beautiful one on Instagram. 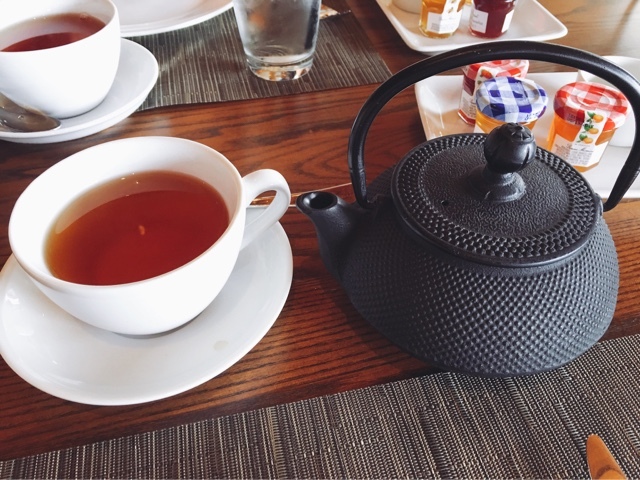 Tea service was a real treat! 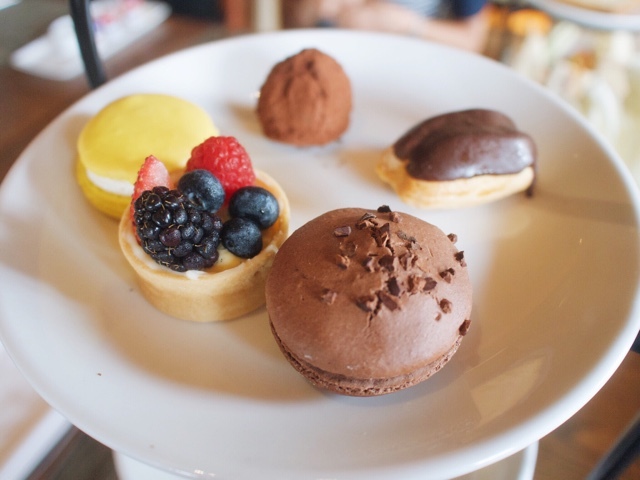 We had an assortment of crustless sandwiches (shrimp salad, pimento cheese--in true Southern fashion, pb&j, cucumber, curried chicken salad and smoked salmon), scones and pound cake served with lemon curd and clotted cream, and dessert: macarons, chocolate truffles, eclairs and fruit tarts. It was fun to enjoy the dainty food while wearing our festive crowns. Making the crowns takes some patience since floral tape can sometimes be frustrating to work with. While it isn't a sticky adhesive tape, it does adhere to itself. Sometimes I found it not cooperating nor even sticking to anything but then with some patience while wrapping the tape around the flower stems, the crown came slowly together. This would make a great activity to craft with friends. 1. 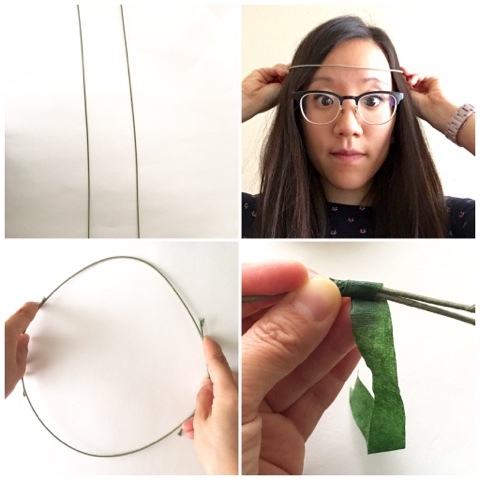 Take one piece of floral wire and wrap around your front head to measure into a U shape. 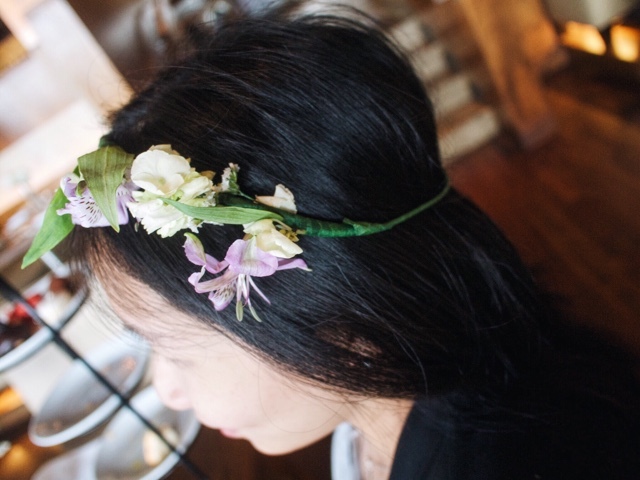 Take another piece of floral wire and wrap the back your head into a U shape. 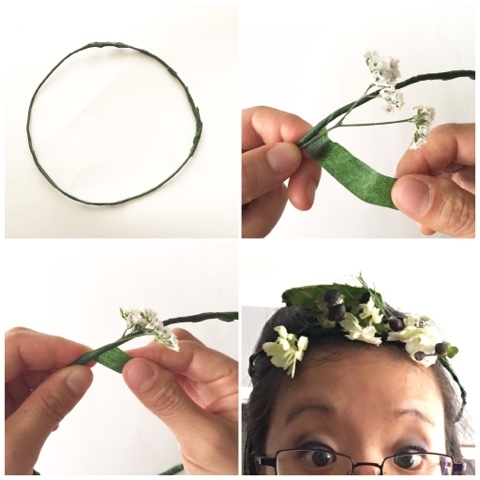 Then take two pieces of U shape floral wire to create a circle to fit the circumference of your head to form a loose crown (fit it on head before taping). The wire will overlap each other in some spots but this is the place that should be secured with the floral tape. Then wrap the entire crown with floral tape. 2. Cut flowers, leaving at least 1 inch of the stem. 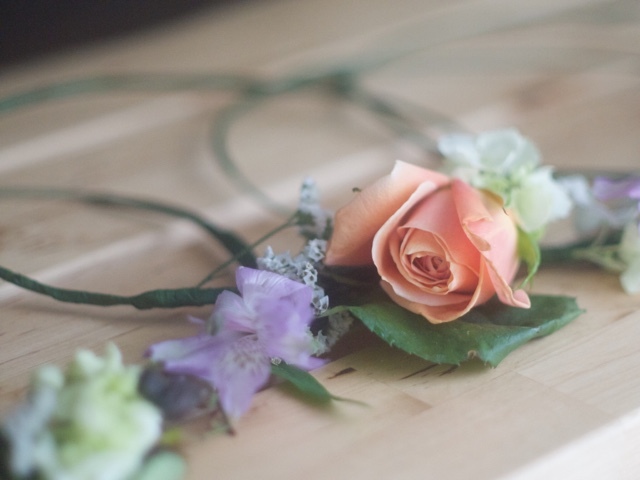 Arrange flowers onto wire and secure each stem onto crown with floral tape (may take many loops wrapped around crown to secure into place. Place as little or as many flowers as you wish!